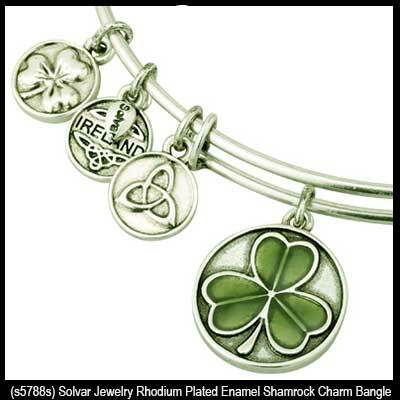 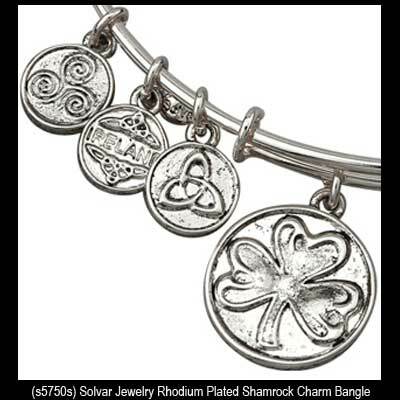 Shamrock bracelets are available as link and charm styles; we also feature hinged shamrock bangles along with expanding wire designs. 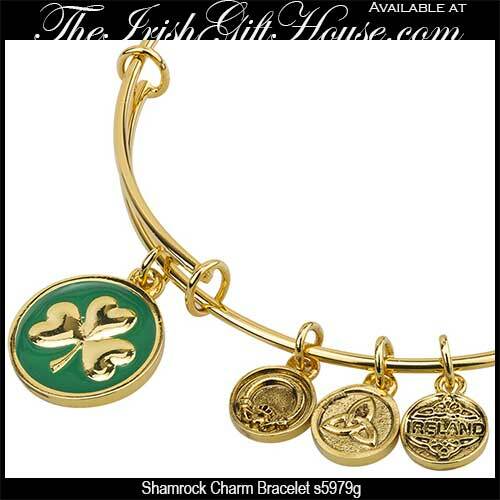 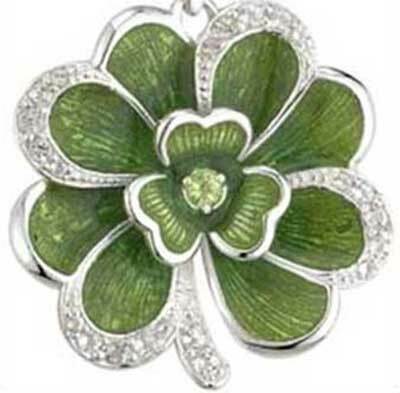 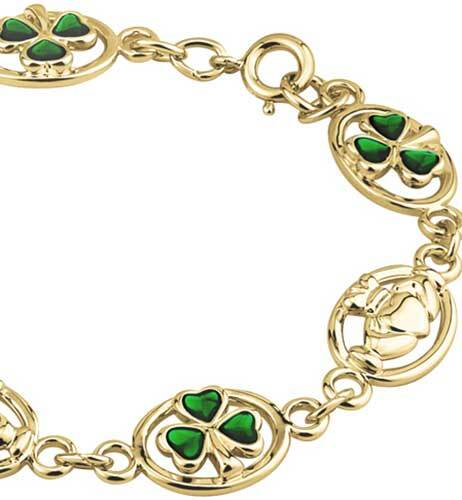 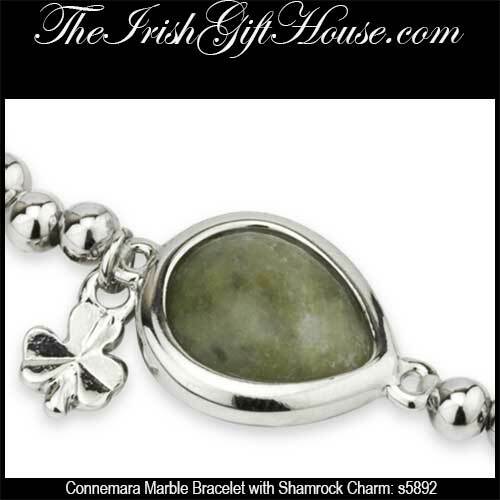 Take a look at our eclectic collection of shamrock bracelets and bangles; The Irish Gift House has a variety that will surely please every taste and price range. 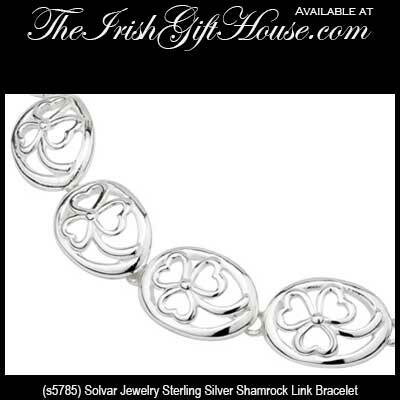 Shamrock bracelet features sterling silver links. 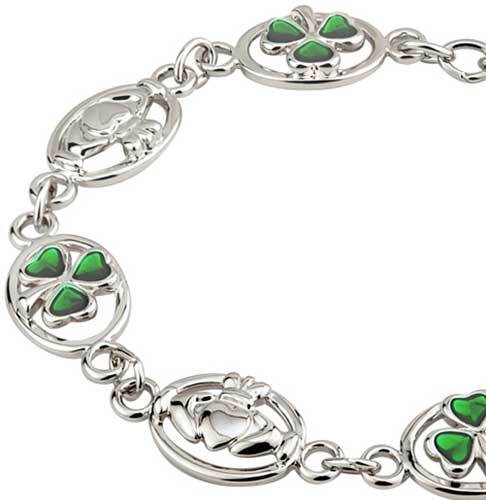 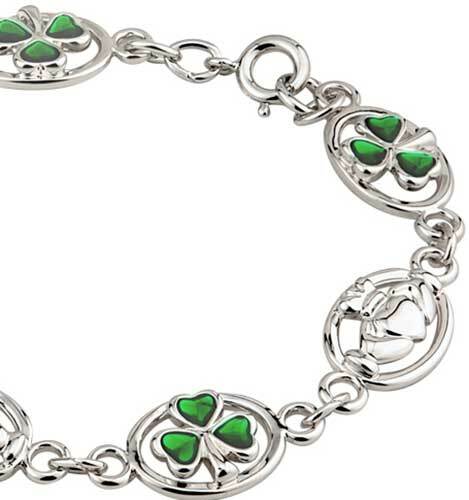 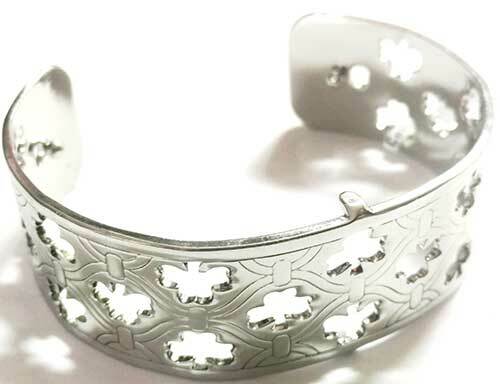 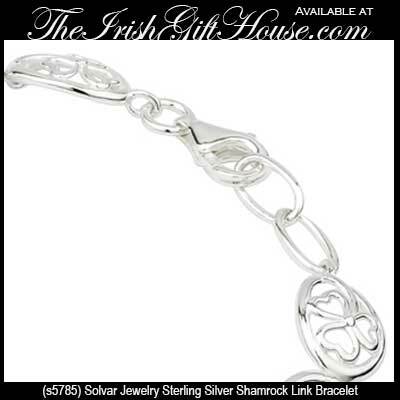 Clover bracelet features a superimposed shamrock along with sterling silver links. 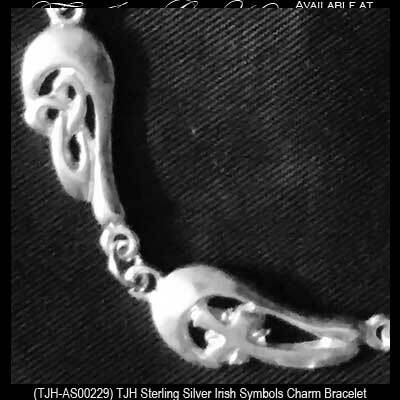 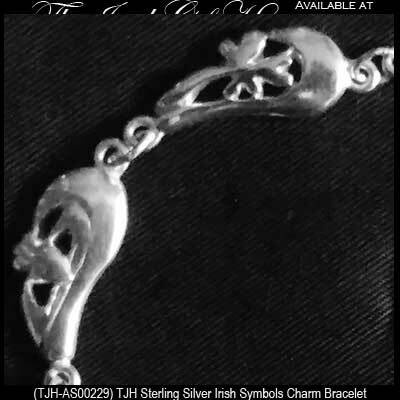 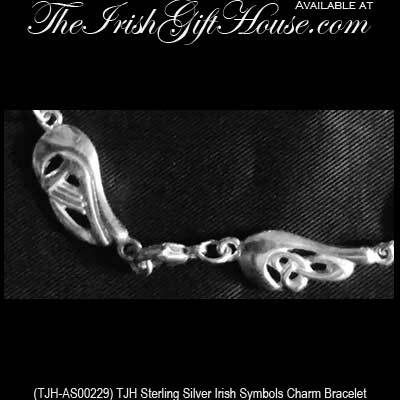 Sterling silver Irish symbols bracelet features seven Celtic links that includes the shamrock and Claddagh. 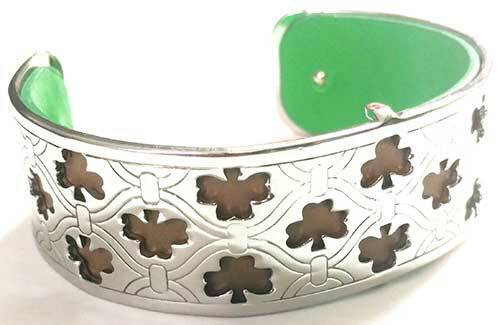 Shamrock cuff bracelet features a removable and revisable leather insert that is green on one side and tan on the other. 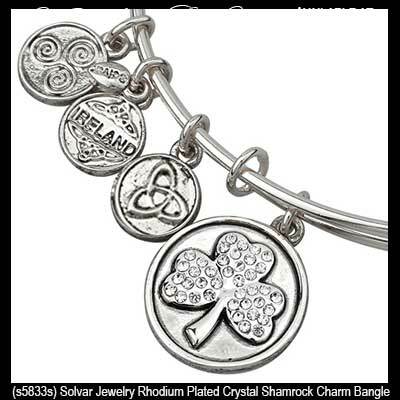 If you already have a bracelet you may be looking for the shamrock charms or the shamrock beads; these assortments will undoubtedly add to the prestige of your existing collection. This assortment of shamrock bracelets are styled and sized for a women's wrist; you may wish to visit our men's Celtic bracelets page for the masculine designs and our Irish baby jewelry section for styles for the wee ones. 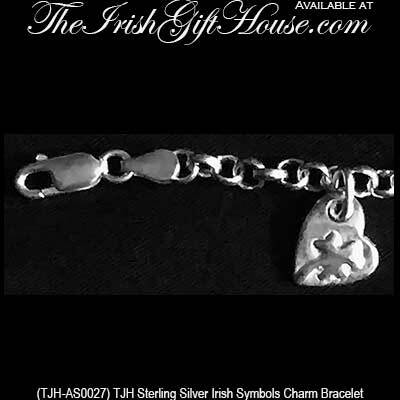 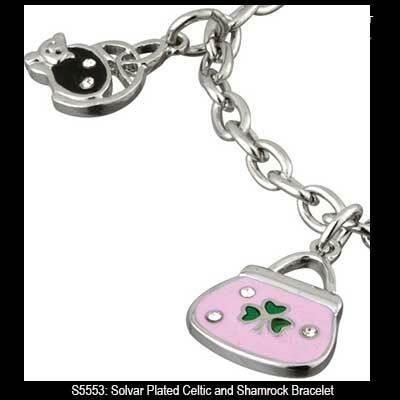 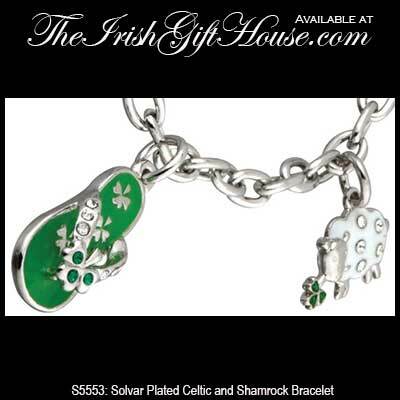 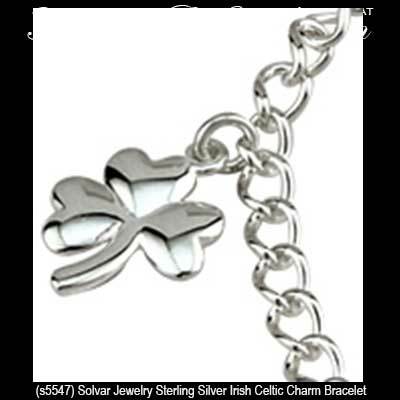 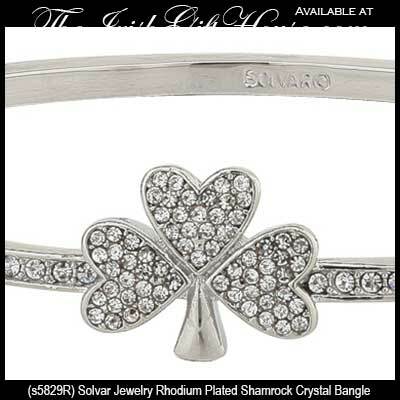 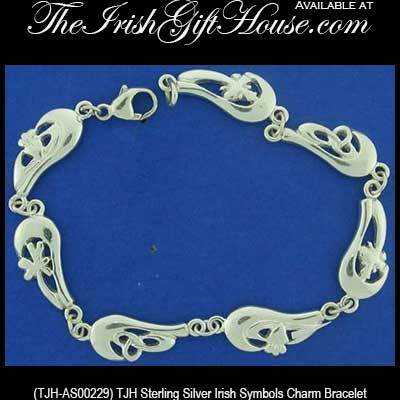 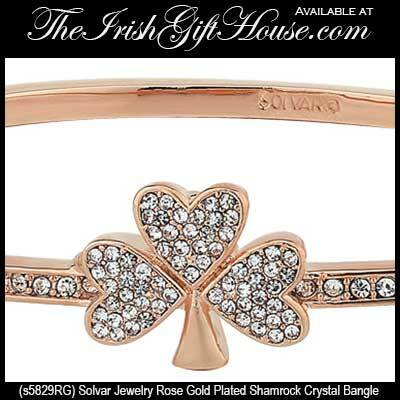 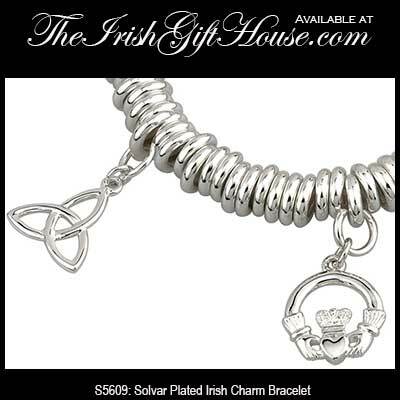 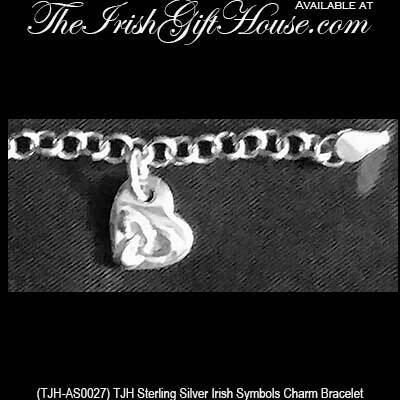 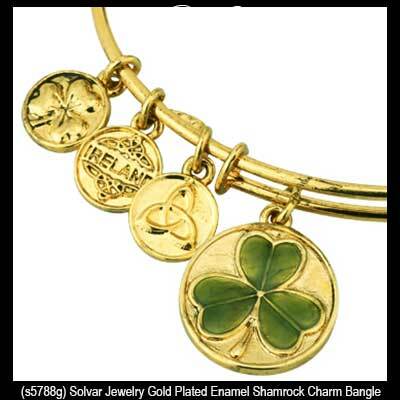 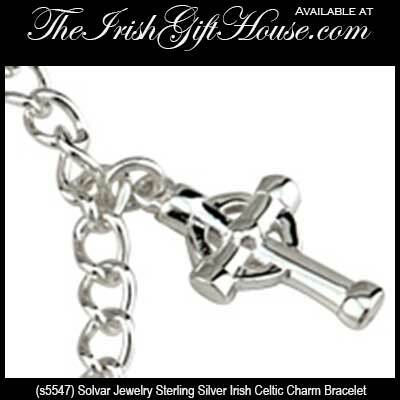 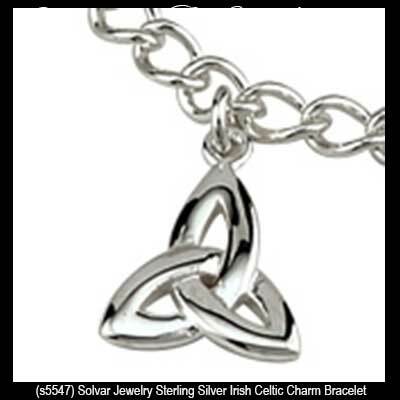 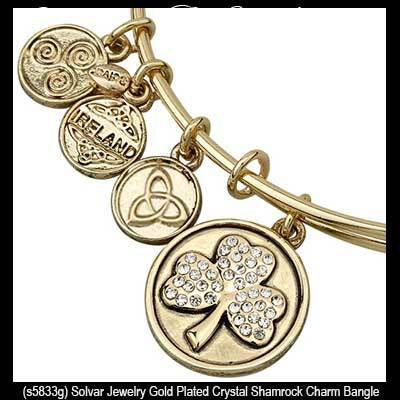 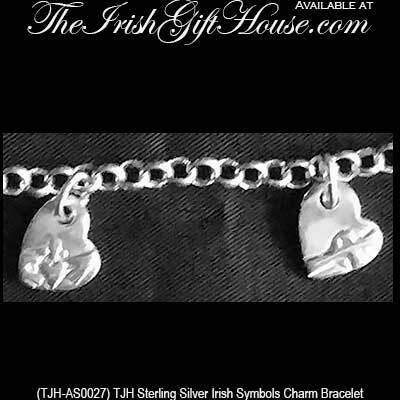 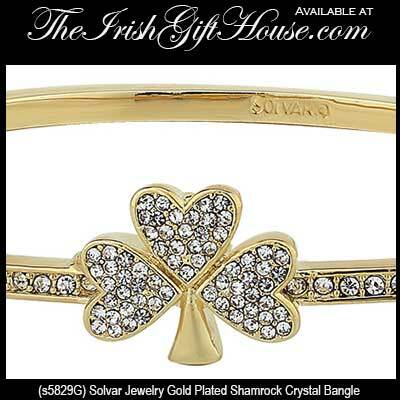 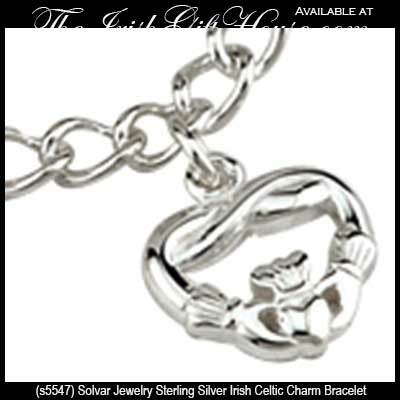 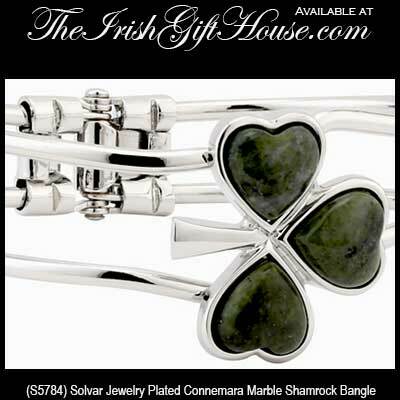 The Irish Gift House features shamrock bracelets from Solvar and TJH Jewelry.